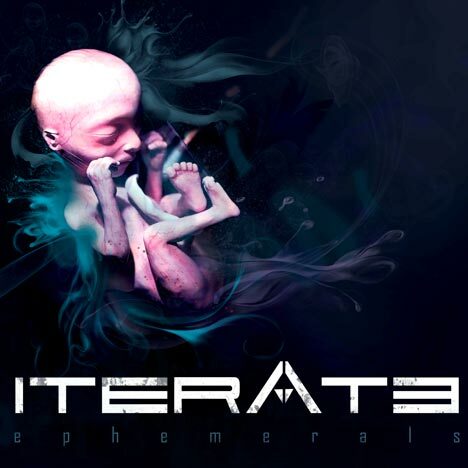 Ephermals | Iterate | OK Listen! Work on 'Ephemerals' actually began as compositions for Iterate's yet-to-be-released debut album. Iterate wanted to take time in defining their sound for the album, and hence decided to put out a teaser-esque EP to showcase their sounds. Hence, the songs in the EP were written back in late 2011, but have been continually been worked on since. 'Ephemerals' literally means 'lasting for a markedly brief time'. The artwork is an interpretation of humanity as an ephemeral. Mixed and mastered at Closed Eye Productions by Nikhil Singh. Artwork designed at Poly Propyl by Debajit Sardar. Vocals tracked at MusicMedia Studio. Bass programmed at Essential Blend Studio by Siddharth Nair. All music composed, arranged and recorded by Siddharth Darbha. Lyrics and vocal melodies written by David Simon and Siddharth Darbha.